Are you a person who “eat to live” or “live to eat”? Well, I think I’m both. I sometimes think I need to eat in order to live even though I’ve got no appetite. This happens especially on days when you had too much good food and you tend to slowly lose your appetite. On days when you’re on a diet or on just some regular meal, you might crave for something so badly and that’s when you will start to think that you have to live on to eat. 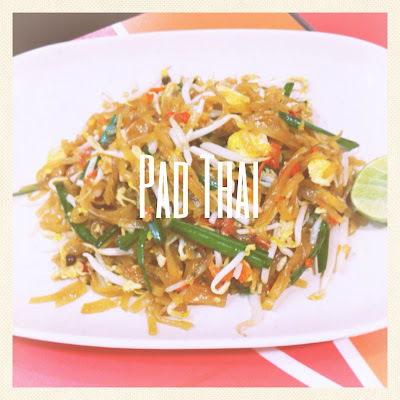 So, Bangkok is not all about shopping but also a food haven. Here are some of the food I had when I was in Bangkok last month. 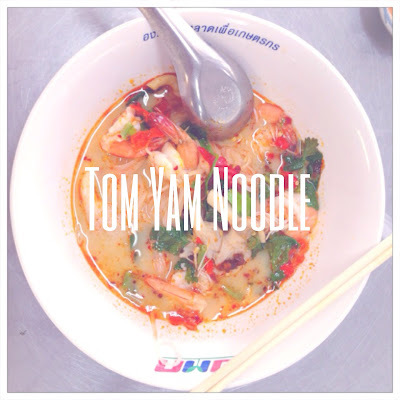 Had this Tom Yam dish in Or Tor Kor market which is located opposite of Chatuchak Market. 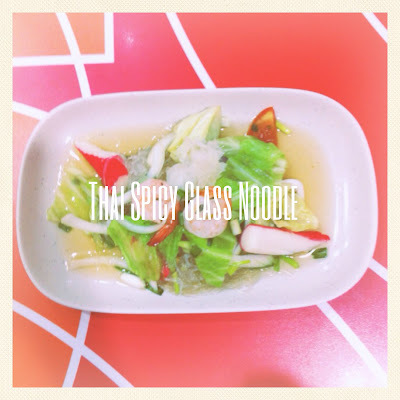 My first Tom Yam dish in Thailand. Many told me that I must not miss this when I’m in Chatuchak market and I totally get it now!! 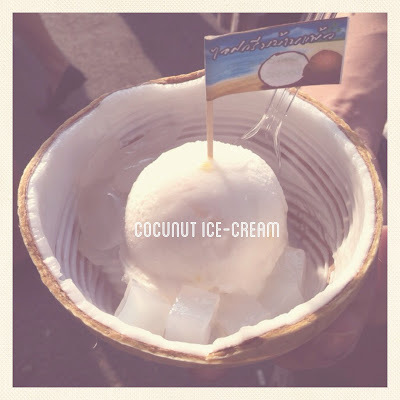 Costs only 30 or 35 Baht and you’ll also get a cup of coconut water! For dinner, we had seafood at Somboon seafood restaurant. If you’re interested, I suggest that you visit their website to make sure you got to the right place as there are many fake ones. I wouldn’t recommend this dishes to be eaten alone. The reason is because the 1st two dishes are sweet and you might get really sick of it after the 3rd or 4th mouth. I suggest that you should share it among 2-3 person. 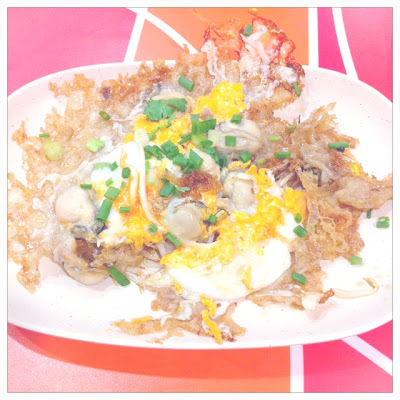 For the fried oyster, I think it’s the best among the 3. Prices are reasonable. All roughly around 70Baht -100Baht. For tea, we had ice-cream!! FYI, Swensen’s can be found just beside or on the left after you come out from Platinum Mall’s entrance. I totally fall for this! Price is also very reasonable. 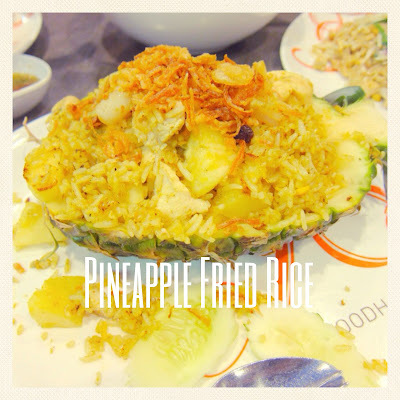 For dinner, we went to Siam Paragon’s Food Court and I had this. 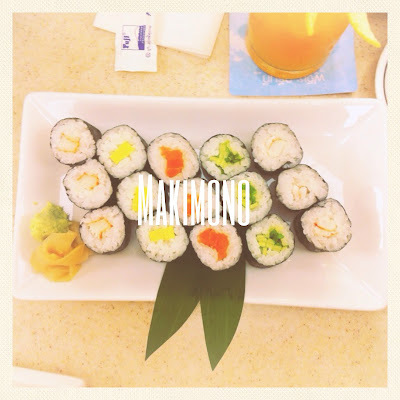 We went to Terminal 21 on the 3rd day and we had our lunch in the infamous Fuji Restaurant. Menchi Katsu Bento Set only cost 150 Baht and it’s totally worth the money!!! First, it’s really YUMMEHhh and secondly, the set comes with rice, miso soup, kimchi and bean curd side dishes. Also, not to get fooled!! I’m warning you!! DO NOT order any drinks cos Bento Sets also come with drinks of tea, coffee, ice lemon tea or (Oopz! I don’t remember). But I remembered, we had Ice Lemon Tea. We were so doomed when the waitress asked us what drinks we want since it’s a service (means FOC) where as we already had our drinks during our meal. We didn’t know FOC drinks and fruits will be served after the meal. Oh Yeah! We also ordered Ramen which comes with rice and gyoza but I wouldn’t recommend Ramen cos it’s not as tasty as it should be!!! The best Ramen can only be found in JAPAN!! Trust me!! After my stay in Japan, I never ever have RAMEN outside of JAPAN. The portion is sooo big for me that I don’t even need dinner anymore. Final shopping on the last day and also feeding our stomach to ease our cravings. This was bought on the day we went to Siam Paragon for dinner. 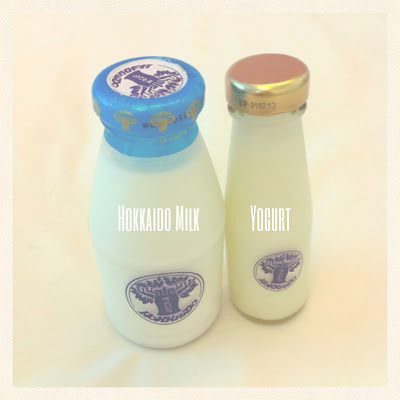 If you love MILK, you can try this out!! There’s also Chocolate Milk and my friend loves it so much that she always make her way here to purchase it in her every trip to Bangkok! 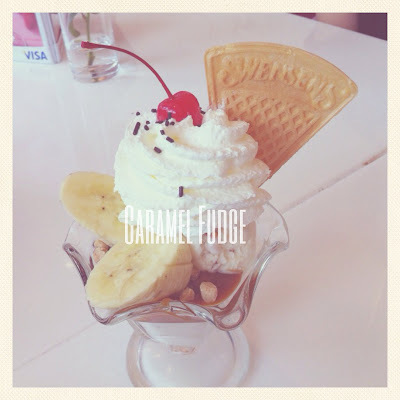 Before we leave Bangkok, we thought this might be our last chance to ease our sweet tooth cravings. 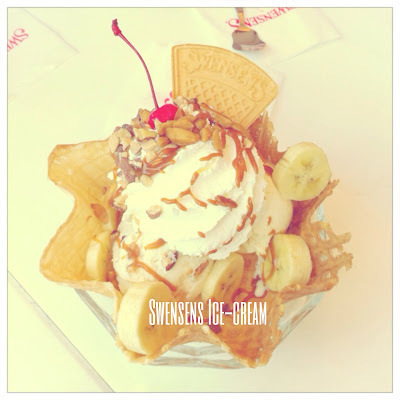 Therefore, we headed down to Swensen’s once again for Aiiiisuuukuriiimmmuuu (Ice-cream). We actually had our lunch in Platinum Mall’s Food Court again. Besides all these food posted, we also had street snacks like hotdogs which I remembered them so clearly cos it can be seen everywhere on street.